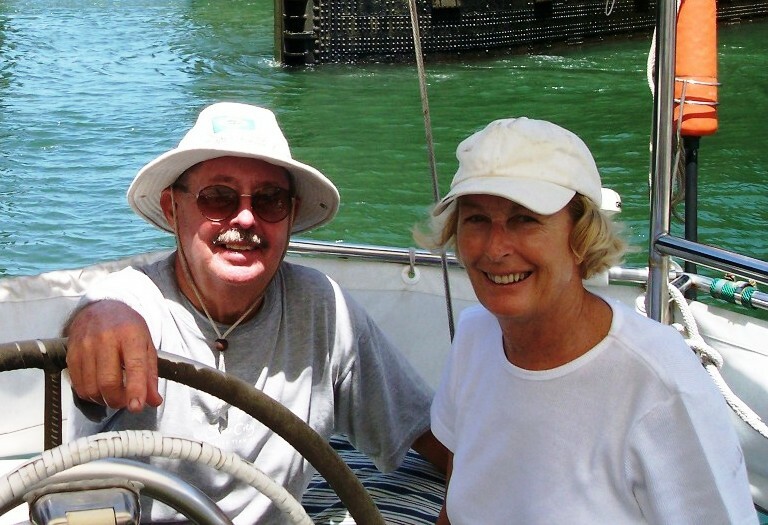 Having logged nearly 60,000 nautical miles, world sailors, Joe and Julie are acutely aware of a fellow sailors needs! They used their travel experiences, ingenuity and passion for sustainable eco‐tourism to build Palmlea Farms Lodge & Villas on the northern coast of Vanua Levu. Palmlea Farms, Fiji’s first eco agri‐tourism resort. Big enough for service, amenities and fine food. 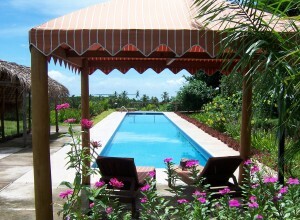 Small enough for peace, privacy and tranquility it is both remote and unspoiled. Yachts can anchor in 4 meters sand in front of the resort and are welcome to use the jetty for their dinghies. 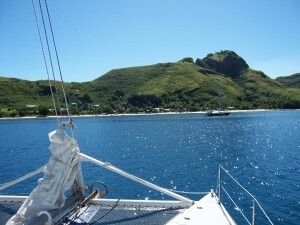 The anchorage makes for an ideal base from which to explore the sunny north shore of Vanua Levu and Great Sea Reef. Vanua Levu is second in size to Viti Levu yet it is unique in the absence of tourist infrastructure and the slow pace of life. 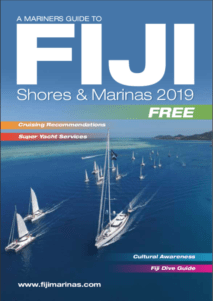 The north shore of Vanua Levu is one of the most unexplored and undiscovered areas of Fiji. It presents lush, unspoiled tropical beauty with a spattering of traditional villages set on beaches surrounded by thriving forests and coconut plantations. The protected waters of the leeward north coast where the winds are lighter and seas flatter offers the opportunity for diving, fishing, snorkeling and surfing in season. Enjoy a day off the boat and spend time at Palmlea. You can take a dip in the 25 meter lap pool, relish a hot shower, enjoy a delicious meal at the restaurant and to top it all off, sip on a sundowner overlooking the Great Sea Reef. Operating on energy harnessed from the sun, and watered by fresh mountain springs, the eco resort works in harmony with the natural environment. The duo practices up to date eco‐minded organic farming techniques. As a guest, you are welcome to unlock your inner farmer and get planting! Growing herbs, spices, fruits, and vegetables this is a great place to resupply your organic stores. The farm chickens lay eggs daily and there is also a Boer Goat Breeding program on the property. If that wasn’t enough, the farm also keeps beehives that produce deliciously flavoursome organic honey. Fuel Services, Transportation to Labasa Town, Airport Pickups, Farm Fresh Seasonal Fruits & Vegetables, Farm Fresh Eggs. You can purchase daily Baked Bread and Pastries, Cold Drinks, Hot Meals, Homemade Sauces, Wellness Bar items. Relaxing massages are also available.